To begin, Electric vehicles (EVs) can now cruise the Pacific Northwest. Now and most importantly with unprecedented ease on the new West Coast Electric Highway. First off, that’s a 200-mile stretch of Interstate 5. Therefore, with a fast-charge plug-in station every 25 miles. So by the end of 2012, the Electric Highway spanned the entire 1,300 miles of Pacific coast. That is from Canada through California. That’s with fast-charging locations every 25-60 miles. Thereby making it the nation’s longest and most robust EV charging network yet. Tritium and ChargePoint Partner for Fast Charging Across the U.S. In addition, the fast-charge technology along the Electric Highway allows drivers to recharge mass-produced EVs. That is like the Nissan Leaf or a Tesla Model 3 and in 30 minutes or less. 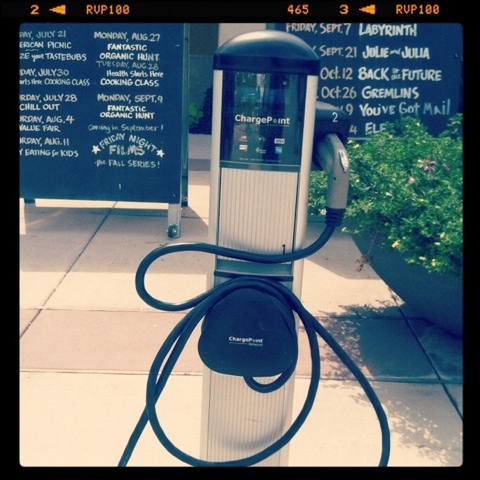 Each location also includes Level 2 equipment to recharge other plug-in EVs like the Ford Focus and Chevrolet Volt. “I would say range-anxiety with these fast chargers will be nearly a non-issue for me,” said Nissan Leaf-owner Justin Denley at the highway’s inauguration. Washington, Oregon, California, Arizona and Tennessee were the six states selected to participate in The EV Project, a $230 million U.S. Department of Energy initiative. One to spur electric vehicle ownership and infrastructure. Chevrolet and Nissan signed on as partners and offer incentives for EV buyers like no-charge residential chargers. Since the project’s unveiling, the U.S. Department of Transportation has named I-5 a “corridor of the future” for its bold steps toward a smooth and rapid shift to the widespread use of EVs. All together, the project is preparing the West Coast transportation infrastructure for more than two million new EVs by 2020. The two stand-alone EV Project states have been busy building up their EV infrastructure, too. In addition, Tennessee has installed a 425-mile network of charging stations at Cracker Barrel restaurants. It’s along interstates connecting Nashville, Knoxville and Chattanooga. All while Arizona will has over 500 charger stations throughout the state since 2015. “For drivers to build confidence in driving hundreds of miles like they do in gas cars, they need an infrastructure,” said Wahid Nawabi, senior vice president of AeroVironment, Inc., a company that builds charging stations.